Despite how much you watch what you eat and exercise, you might still be bothered by pockets of fat that prevent you from being confident in how you look. The Loudoun Center for Plastic Surgery offers the most advanced methods to effectively eliminate fat from areas of concern on the body. Surgical liposuction is a body contouring procedure that reduces pockets of fat from the flanks, tummy, buttocks, and thighs to create a more defined appearance. This fat removal surgery at The Loudoun Center for Plastic Surgery can be combined to treat multiple body parts. When we see you for your consultation, Ashburn, VA board-certified plastic surgeon Dr. Michael J. Brown will assess areas of your body you wish to address so you can attain your cosmetic surgery goals. We want to help you feel and look amazing. "General impression of office- Friendly, informative and staff was very helpful General impression of staff- Friendly and helpful answered all of my questions. Rate your overall experience at our facility- Excellent Feedback- I felt comfortable and that I was in good hands throughout the entire process. I will recommend Dr. Brown to friends and family and I will be a repeat patient." "How long was your wait in the office to be seen?-Less than 15 min. What was your general impression of the office?- Very professional and very knowledgeable. What was your general impression of the staff?-Perfect. How would you rate your overall experience at our facility?- Excellent. Feedback- I am so glad that I chose this facility and staff. I couldn't be happier with the progress. I would highly recommend Dr. Brown and his staff." "The office is beautiful. The staff is friendly and helpful. Everything was excellent!" Fat removal surgery is a terrific treatment for patients who are at an ideal weight but have troublesome areas of fat that are difficult to rid, even with the most healthy lifestyle. Patients interested in liposuction should have healthy skin because liposuction is not a treatment for stretched-out skin. It is also important to know that liposuction is not a solution for weight loss. Females undergoing liposuction should have no plans to become pregnant again as this may compromise the lasting outcome. At the time of your consultation for surgery, Dr. Brown will set realistic expectations. This treatment is completed in an outpatient setting using general anesthesia. A punch-hole incision is placed through the skin so a cannula can be inserted. A cannula is a special tool that makes it easier to work loose the fatty tissue that is being removed. After the desired amount of fat deposits have been eliminated, Dr. Michael J. Brown will seal the small incision. Based on the number of sections being treated, your procedure may take several hours. In the separate area for recovery, your post-op nurse will assist you with managing any discomfort and look after your treated areas until you are discharged. You may need to stay at home for recovery from liposuction surgery for several weeks based on the number of sections treated and the amount of fat removed. It is typical to have bruising and swelling for one or two weeks, and you should have stitches taken out 7 – 10 days after surgery. You will also need to wear a support garment over the area that was treated. The most important thing to do following any surgery is to give your body time to rest and heal. When you decide to go back to your job after your surgery, you should remember to minimize stress and strenuous activity. To increase your strength and stamina, try walking and light workouts as recommended by Dr. Brown. Remember, you may notice some improvements soon after your surgery, but it will take around 6 – 10 months until your new body contour and shape is complete. 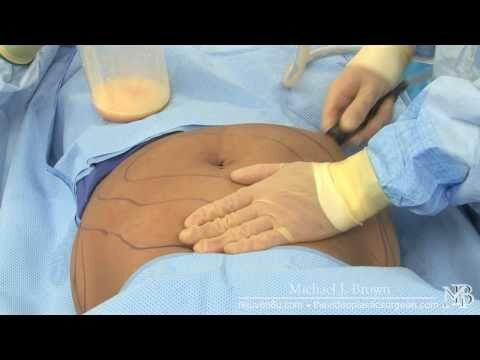 The liposuction varies, depending on the technique selected and how many areas are being treated. In your consultation, Dr. Brown will create your personal treatment plan to meet your needs and goals. He will also consider your budget. When your plan is ready, estimated costs will be discussed. To make your surgery as affordable as possible, The Loudoun Center for Plastic Surgery takes several payment methods, and we will help you find low-interest financing. There are several nonsurgical procedures to reduce body fat. Some popular brands are CoolSculpting, Vanquish, UltraShape, Kybella, and Liposonix. Although these nonsurgical procedures can help reduce mild to moderate fat pockets, surgical liposuction is best for most people. Liposuction surgery produces more dramatic and consistent results. Ask Dr. Brown about nonsurgical options in your consultation. He can explain the benefits of all your options and help you choose which is best for you. Liposuction surgery only corrects excess fat. For loose skin, Dr. Brown may recommend combining liposuction with a lift surgery. Liposuction is often done along with skin tightening surgery, like a tummy tuck, thighplasty, or arm lift, to give you your best results. To correct cellulite, there are many minimally invasive and nonsurgical treatments, including VelaShape, Cellulaze, Venus Freeze, and VASER Shape. During your consultation, talk to Dr. Brown about your concerns, like cellulite and loose skin, so your best treatment plan is created. Since liposuction is an invasive surgery, incisions will be made and sutured. This will cause scars; however, Dr. Brown does his best to reduce their appearance. This starts with making thin incisions in less visible areas or the natural folds of your body. After your surgery, Dr. Brown or a member of his team will teach you how to care for your incisions so they heal properly and fade. Before liposuction, it is important to be prepared to maintain your results. Although liposuction reduces the number of fat cells in an area, you can still lose and gain weight. Dr. Brown suggests that you be at or close to a healthy weight prior to liposuction. Afterward, it is best to remain within 5 – 10 pounds of your post-surgical weight. Getting pregnant after liposuction will also alter your results; however, another surgery, like a mommy makeover, may be done to refresh your body. 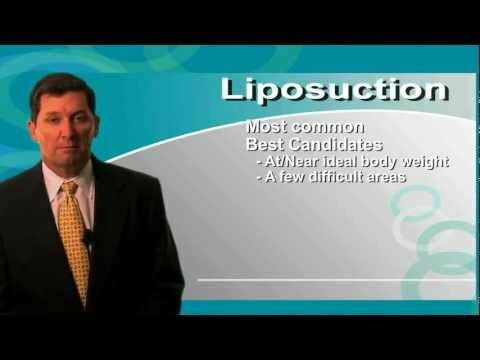 Fat removal with liposuction at The Loudoun Center for Plastic Surgery gives individuals the chance to have bothersome fat diminished almost instantly. Without the help of liposuction, it can be frustrating to get the slimming outcomes you desire. We can recommend various alternatives for liposuction treatment, depending on your individual aesthetic desires. We welcome you to get in touch with our office in Ashburn, VA, and schedule your one-on-one consultation with Dr. Michael J. Brown.